Thinking about TEFL Courses? Remember ESLinsider. This is the TEFL course category page from the blog. Here you will find articles about online TEFL courses and other related courses. If you are thinking of taking a TEFL, TESOL or CELTA course then I think you will learn some things here about them that you didn't know. The articles here will look at both the pros and cons of taking courses whether you choose an online course or a classroom based one. For example, you can learn about the benefits of online TEFL courses or if any course is worth it for you or not. Take a look at the articles below to see if you find one that helps answer your questions. And remember that ESLinsider offers an online course geared more towards teaching kids in Asia (this is the larger part of the job market in Eastern Asia). Can You Teach English Abroad Without TEFL Certification? How does the advanced course compare to the basic course? How many TEFL course hours do I need? How long do online courses take? I want to teach English abroad. What do I do? Should I do an online TEFL course? TEFL: Who's Selling To You? Do you know? What are the answers to my online TEFL course? 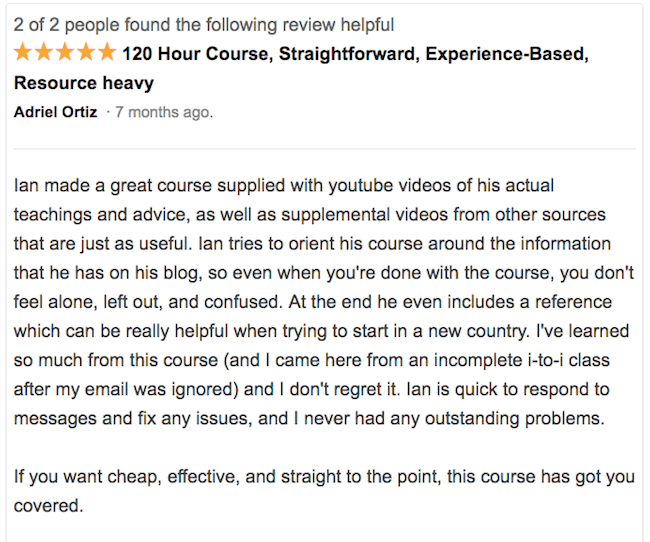 What are the online TEFL course assignments like? What's the fastest online TEFL course? What's the most reputable online TEFL course? Where To Take A TEFL/TESOL Course? You Can Get A Job With An Online TEFL, But How Well Do You Think You Will Do That Job?